VILLAS AND APARTMENTS TO RENT IN TUSCANY, ITALY. 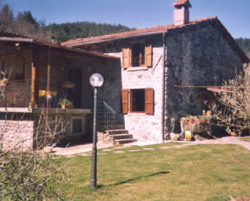 Welcome to our selection of holiday homes to rent in Tuscany, Italy. Tuscany is a region in central eastern Italy, which has long been a popular destination for tourists who enjoy art, culture and beautiful scenery. The Tuscan countryside has inspired centuries of artists and these days is just as famous for its fine wine. Home to some of the most famous towns and cities in the country, no tour of Italy would be complete without a stop in Florence, Siena and Pisa. Florence, or Firenze in Italian, is the capital of the region and boasts some of the finest art galleries in the world. The Uffizi is the largest, housed in a former palace by the River Arno, while the Accademia dell'Arte may be smaller, but the world-famous and breathtaking statue of David by Michaelangelo can be seen here in a specially built atrium. A smaller version of the famous sculpture lives in the main square in the city, the historic Piazza della Signoria, where you can also visit the Palazzo Vecchio from where the Medici family ruled the city for generations. The cathedral or Duomo is situated in its own large square alongside the basilica and the campanile, a huge tower which you can climb for a few Euros in order to enjoy the view over the city. The Ponte Vecchio, or Old Bridge, is a tourist attraction in itself as well as the easiest way to cross the Arno, with medieval buildings housing jewellery stores on each side of the walkway. The picturesque town of Siena is worth visiting at any time of year, when you can wander the narrow streets or climb to the uppermost levels of the 12th century cathedral with its fantastic views over the rooftops of the ancient city. However, twice a year this sleepy Tuscan town is packed with visitors for the famous Palio, a horse race round the main square between representatives of Siena's different districts. On July 2 and August 16, when the races take place, people will start to take their places on the main square from the early hours in order to get the best view; or you can simply enjoy the parades and musical events that take place for a few days either side of the main event. Of course, no trip to Tuscany would be complete without seeing the infamous tower in Pisa. Although most people only come to the pretty town for that one photo opportunity, the other monuments found in the same large piazza, a cathedral and basilica built from the same dazzling white marble, are also worth visiting. 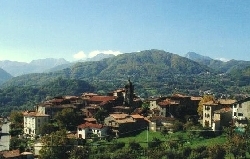 Looking for self catering holiday accommodation in Tuscany? Then below is a selection of Apartments in Tuscany and villas in Tuscany that can be rented direct from their owners. You can either click on each listing for further details or you can use our search engine on the left if you are looking for something in particular.